It is recommended to drill in rock formation where contains some ovals and fracture. The stabel and reliable working performance and the less vibration of drill rig. Concentric system with ring bits,with wings and with blocks. 1. when the drilling starts, the wings swing out, and reams to drive the casing shoes and tubes into the hole. 2. 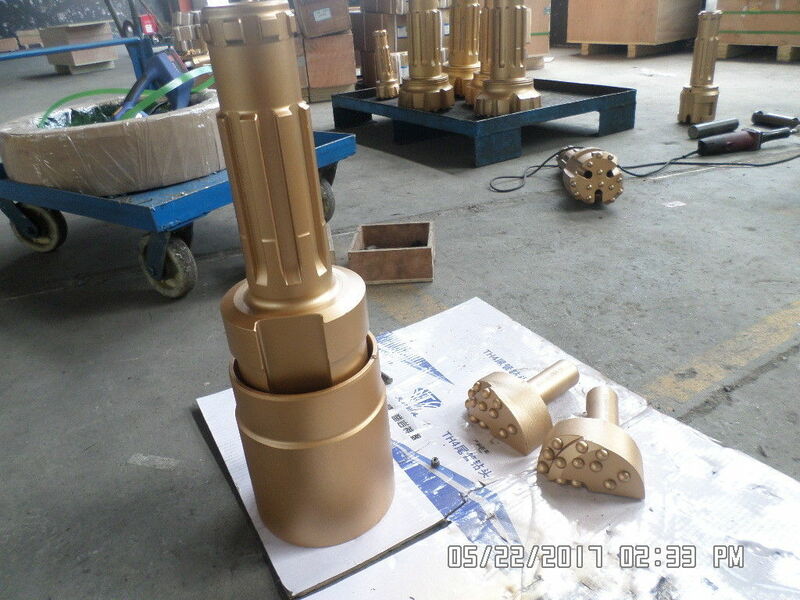 When finished the drilling in overburden rock formations, reverse the drilling tools and the wings will get closed, and the drilling tools can be raised from the hole. 3. Next construction can be followed. The best tungsten carbides from China are commonly applied. Tungsten carbide from European is also available. 1. Drill in overburden unstable rock. 3. Flexible to open or close. Our company response for any quality problem caused by material or machining defect. Applies to loose covered land surface,such as soil, clay, weathered rock strata,sand and so on. 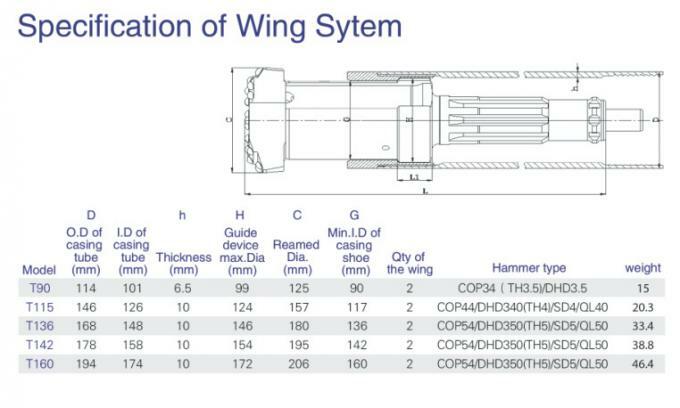 Teamwhole offers the market most comprehensive range of DTH hammers. There are hammer solutions for water well drillers, miners and quarry drillers as well as for contractors in construction, oil and gas. Teamwhole's DTH hammers are available in holes sizes from 3.5 to 48 inches in diameter. Teamwhole's flexible and stable ODEX system wins great reputation in users. Reliable quality,innovative design and professional service ensure the fulfill of many projects. We even offer reverse circulating RC hammers for exploration. We are the earliest in China for RC since 2004. Now the RC hammer and bits are delivered to Australia,South Africa,Russia and Mongolia in large scales. More than 30 experts supports the technology and enhance the development. Offer the guide service for assembly and problem-analyse service during using. Russia: Oil, infrastructure and mining.